Hay fever (also known as allergic rhinitis) is a common condition that is caused by an allergic response to airborne substances such as pollen. 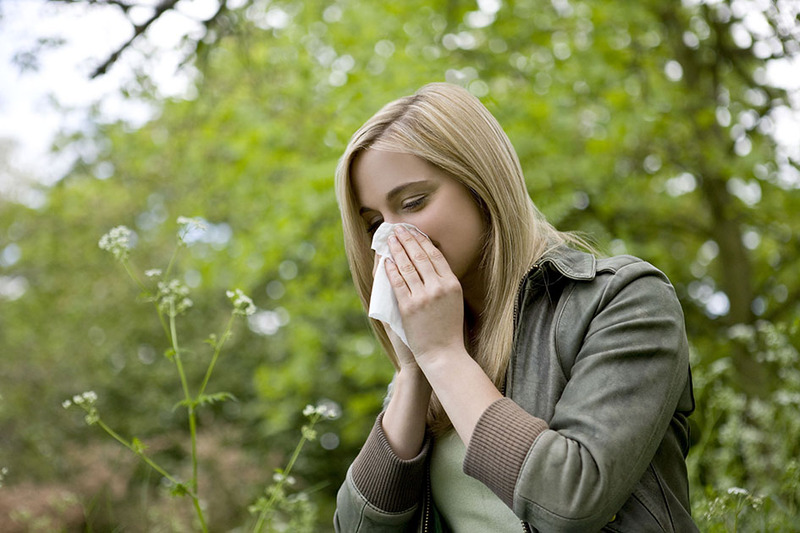 Hay fever presents signs and symptoms that are similar to a cold. These signs and symptoms include sneezing, congestion, a runny nose and sinus pressures. Unlike a cold which is caused by a virus, hay fever depends on the time of year and the airborne substances that you are allergic to. The substances that cause an allergic reaction in hay fever is known as an allergen. For most people who do not get hay fever, these substances are not allergens, because it doesn’t affect them and their immune system does not react to it. Despite its name, hay fever does not mean that someone is allergic to hay or have a fever, as hay is hardly ever an allergen and hay fever does not cause fever. Substances that cause an allergic reaction in hay fever include pollen, airborne allergens from plants and fungi, dust mites and pet dander. Hay fever affects the nose, eyes and sinuses. Some people are only mildly affected by hay fever and rarely seek medical advice. However, for many people, the symptoms of hay fever may be so severe and persistent that it hinders their ability to properly carry out their daily tasks at home, work or school. These people are the ones who seek treatment. Treatments may not get rid of the symptoms altogether, but they usually help to lessen their impact, making them easier to live with. As with other allergies, hay fever symptoms are a result of your immune system mistaking a harmless substance as a harmful one, and releasing chemicals that cause the symptoms.